Best wedding trends of 2020. Quality products made by professionals, exclusive models, and best prices of Europe. You have to be there! At EXPO WFU19 we present the best national brands that enjoy success on the international market. Ukrainian manufacturers show designers’ collections with unique designs of 2020 that follow the latest fashion trends. 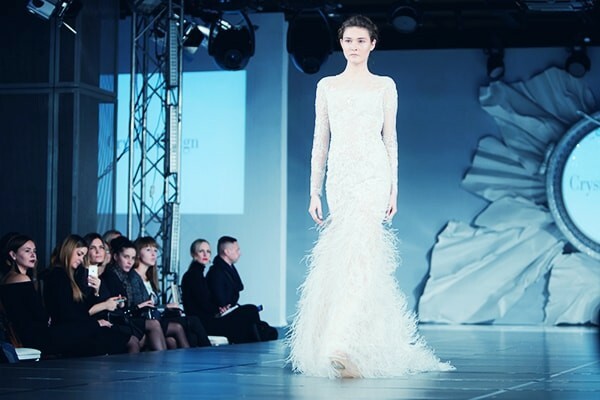 Wedding dresses presented on podiums of EXPO WFU are created in accordance with needs of different categories of end users: high fashion segment, luxury segment, and mass-market. Each of these segments is represented by a diverse line-up of products driven by biggest, latest fashion trends. Professional shows provide all the necessary information and are an aesthetic delight. Unique design and quality of wedding dresses presented at EXPO WFU guarantees successful sales of dresses in any country. Price policy is also optimal: Ukrainian brands offer perfect price-to-value ratio. Buyers interested in purchasing products of Ukrainian brands can make orders once a year, when the best Ukrainian brands are optimally represented under one roof. SUBSCRIBE TO EXPO WFU NEWS? 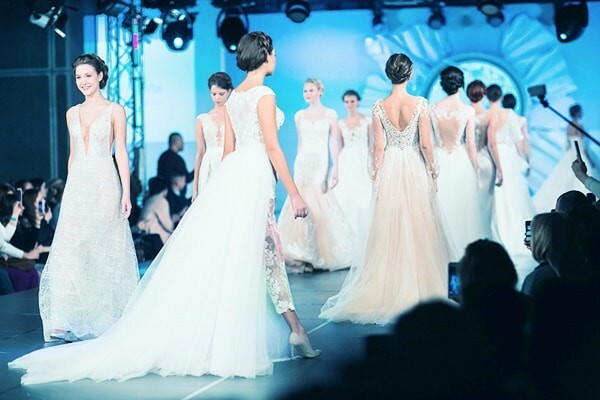 Wedding dresses are presented at EXPO WFU in accordance with needs of different categories of end users: there are high fashion segment, luxury segment, and mass-market. Each of these segments is represented by a diverse line-up of products driven by biggest, latest fashion trends. High standards of the event are perfect for comfortable work and provide favorable climate for business communication, making deals, and signing of contracts. Seeing the live shows of latest collections of 2020 helps buyers to appreciate the exceptional designs and practical aspects of products, such as the way they fit, how their fabrics drape, and the overall impression they make.